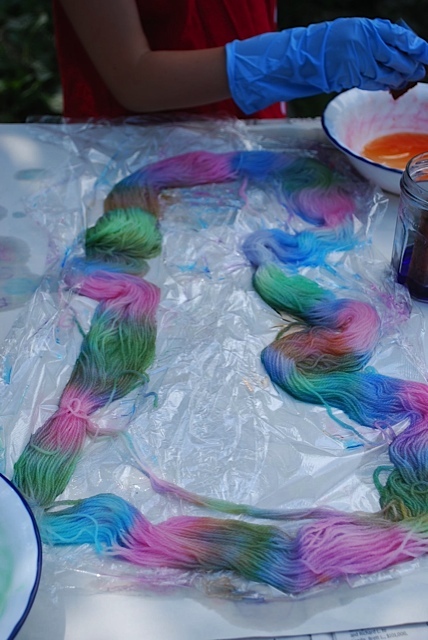 In Episode 9 we showed you how to handpaint yarn using food grade dyes. 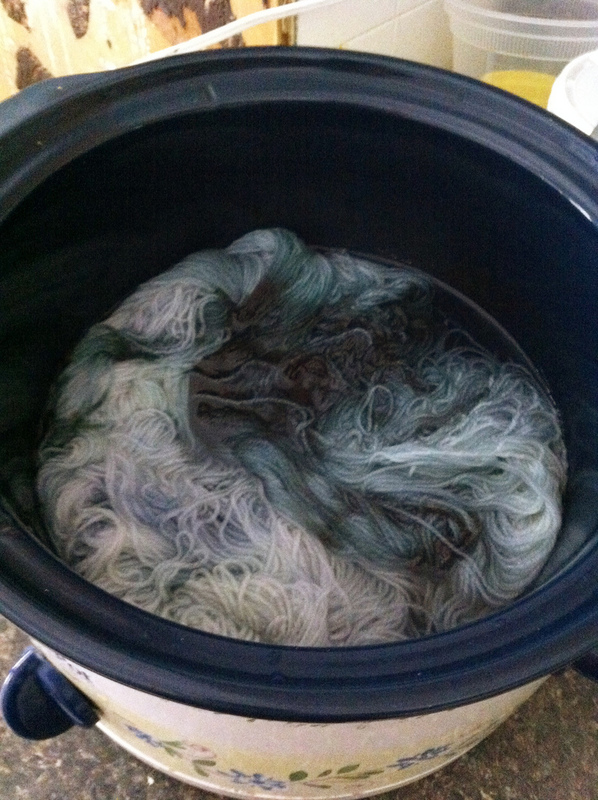 This is a step by step look at this process as well as how to kettle dye using a crock pot. 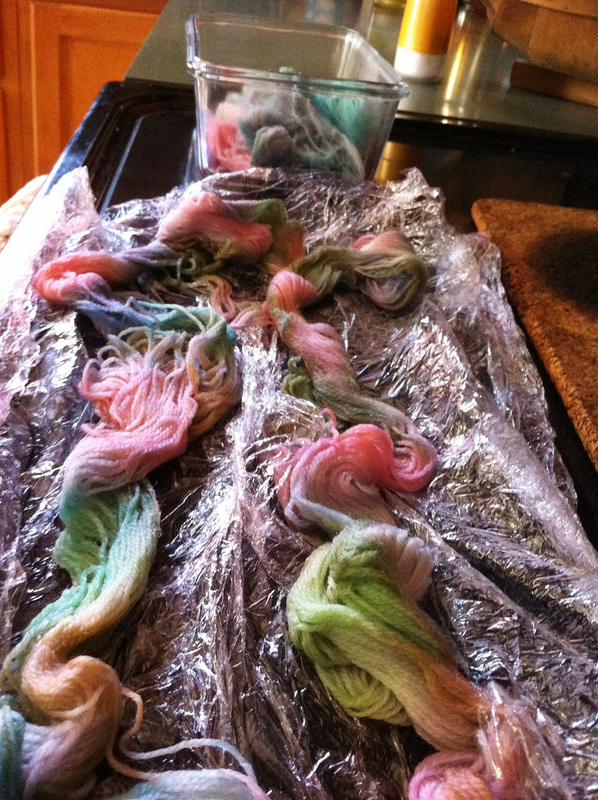 Soak the yarn in a vinegar/water bath 1 hour to overnight (1/4 cup vinegar to 1 quart water). Lie plastic wrap on a protected surface. Place your skeined yarn on the wrap. 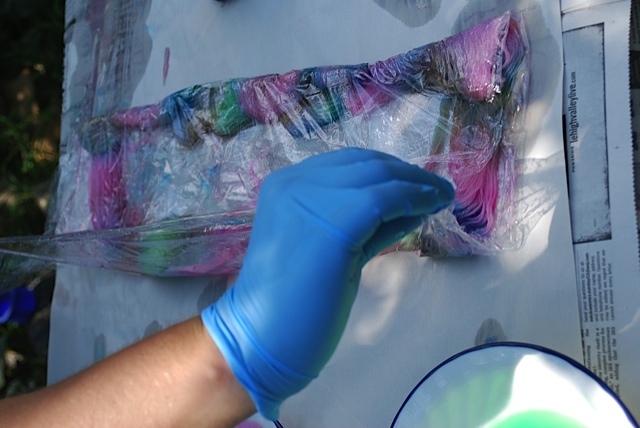 Put on gloves to protect your hands and mix your dyes in cool water to desired depth of color. I used about a quarter teaspoon for our dyes. If you choose to use dye directly on the yarn, use a toothpick to do so. 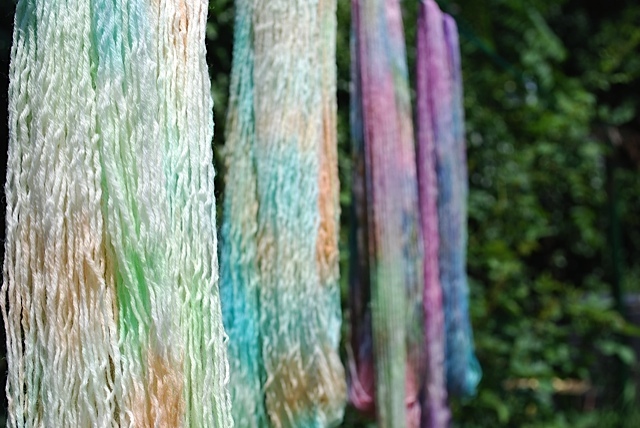 Using a sponge, dab the dyed water onto the yarn. 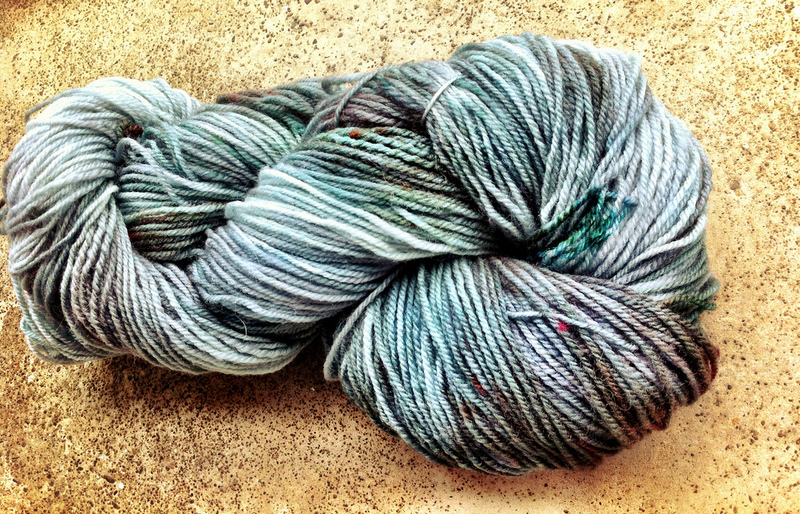 You want the skein to be saturated. Change colors using a new sponge. Continue to add color until desired look is achieved. Wrap yarn in plastic wrap and place in a microwave safe container. Cook in the microwave for 5 minutes, remove, cool, and cook again for 5 minutes. Again cool and rinse in cool water until water runs clear. Wash with a bit of dish soap if vinegar scent remains. Kettle dying is similar in preparation, but you will not need plastic wrap and you will need a crock pot and tongs. Begin by preparing your vinegar bath in the crock pot. Turn the pot on to low. You may add dye before or after adding the yarn. I added my dye after, since I wanted more difference between the dark and light areas. I used black dye on a natural skein. Allow dye to absorb, adding more dye to the pot as desired. 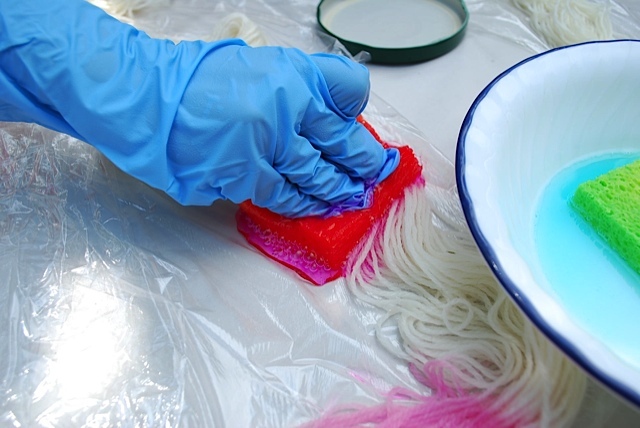 Use tongs to bring bottom yarn to top and distribute the dye. Allow to cook in the crock pot until all dye is absorbed. Turn off heat and allow to cool. This could take a number of hours. When cool, rinse, hang to dry and skein. My black dye broke into teal, green, red and pink on a grey base. It’s not what I expected, but I do love it!